What to do this spring in D.C.
7 Things We're Most Looking Forward to This March in D.C.
March in D.C. marks the coming of warmer weather and with it, lots of events happening in the area. We gathered seven happenings we’re looking forward to this month. The comedian and family man is out on tour again and stopping by the MGM National Harbor. Get tickets and spend the weekend at the casino, dining at restaurants such as the Voltaggio Brothers Steak House and Fish by José Andrés. The annual United Airlines Rock N' Roll marathon is celebrating seven years in D.C. The full and half marathon as well as a 5K includes live bands, cheer teams, and lots of community engagement. Marathon and half marathon runners earn special guitar pick shaped medals. 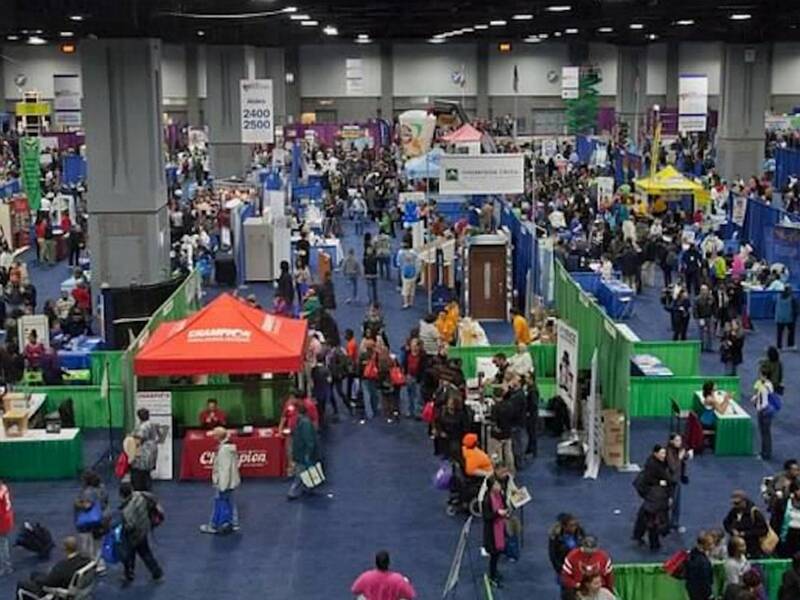 The annual weekend expo has been moved to March this year to celebrate its 25th anniversary. Typically, attendees can expect to see exercise classes, talks with various experts and information about local mental health resources. There’s even a healthy cooking stage to learn how to cook various good-for-you recipes. Families can take their children to a healthy kids stage and end their day with a relaxing yoga class. The expo will be at the Convention Center. St. Patrick’s Day (March 17th) falls on a Saturday this year. However, the 48th Annual St. Patrick’s Day Parade is Sunday March 11th, rolling down Constitution Avenue from 7th to 17th Street. There’s also the annual Shamrock Fest, dubbed “America’s largest St. Paddy’s Day Festival,” which will feature Sum 41 and Shaggy. The Wharf will be celebrating March 10th with “Ireland on the Wharf,” an afternoon celebration with a beer garden, Irish dancers, live music and more. The annual festival that marks the anniversary of the gift of trees from Japan to the U.S. starts with much fanfare. A preview “Pink Tie Party” will be at the Reagan Building March 15th. The opening ceremonies are March 24th and the family friendly Blossom Kite Festival is March 31st. The newly renovated Wharf is holding a “Petalpalooza” April 7th. Finally, festivities conclude April 14th with the National Cherry Blossom Festival parade, which marks the unofficial start of spring in D.C. Throughout March, the D.C. Francophonie Cultural Festival celebrates the French language and communities around the world. There are events throughout the month like films, poetry readings, concerts and tours in French at the National Museum of African Art. The festival has been going on since 2001, with over 40 embassies and partners like the Alliance Francaise collaborating together on concerts, films, food-related events and more. 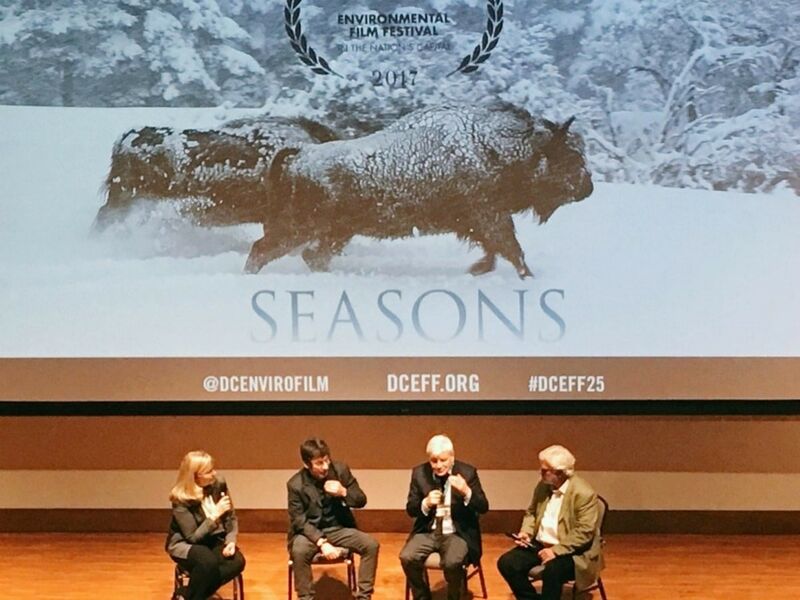 The festival is the world’s premiere place to show environmentally themed films. The festival has been occurring yearly since 1993 and over 100 movies are screened to over 30,000 people. Founder Flo Stone previously worked on public programming for the American Museum of Natural History in New York City.